NERC Compliance, industry topics, special features information and much more. Managing registration and self-certification requirements. A closer look at the regulation and the importance of compliance. Understanding 483s and Warning Letters, and how to develop a cohesive response. Medical device companies: before you invest in a system, read this document. Make critical data more accessible while remaining secure, and improving operations and efficiencies. Learn the surprising benefits of cloud-based quality and compliance management systems. Remain secure and improve operational efficiencies while keeping critical data accessible. A detailed look at how the quality system complies with FDA requirements. Computer System Validation isn’t just testing…it’s a mandate. How to create, and the benefits, of a culture of compliance. Learn essential steps, strategies and pitfalls to avoid when planning and implementing automation within your QMS. Includes companion Implementation Checklist. Details and compares seven integration methods for connecting with other systems. Tips for efficiently controlling records for compliance and security. A closer look at HACCP and where FDA inspectors are focused. 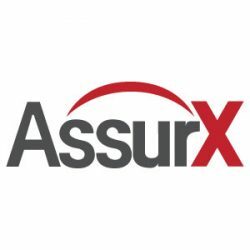 How AssurX uses Web Services Technology. An 11 page in-depth technical discussion. Gain in-depth knowledge about quality management systems, FDA regulatory insights, NERC Compliance, industry topics.